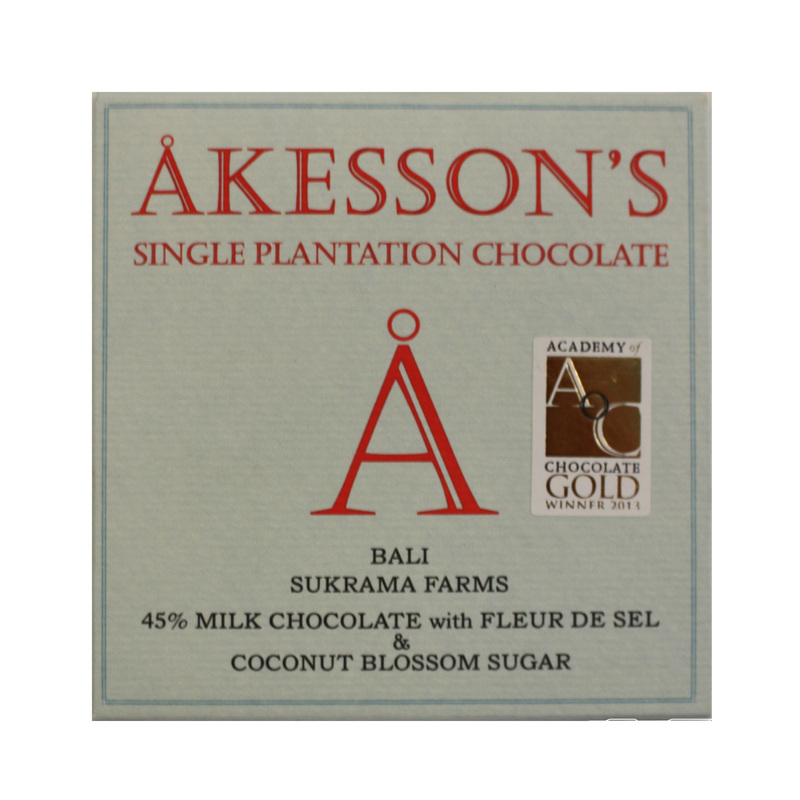 A luxury milk chocolate with a hint of sea salt from renowned maker Akesson’s. This is not a simple bar and it has proven particularly divisive among our reviewers- you either love it or you hate it. However, it is rare that chocolate is described as “sublime” and “ethereal” (see for yourself on our reviews page), so why not give it a try? To this particular 45% milk chocolate Åkesson’s adds a touch of sea salt. 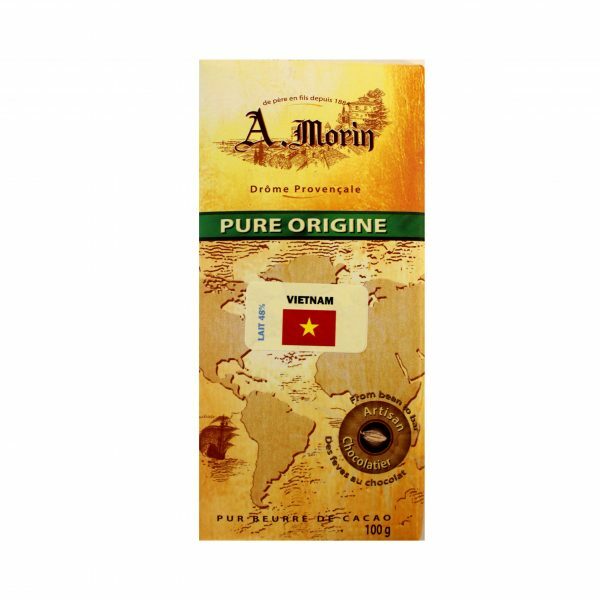 Distinct caramel notes shine through that come from the use of natural sugar produced from the nectars of the coconut blossom. These juices are collected by gently slicing the flower. They are then boiled into a thick caramel before being ground down to a crystal. Interestingly, the resulting coconut blossom sugar has a glycemic index 3 times less than that of cane sugar. The salt provides a bold counterpoint to the caramel sweetness of the coconut blossom and the rich complexity of the cocoa. 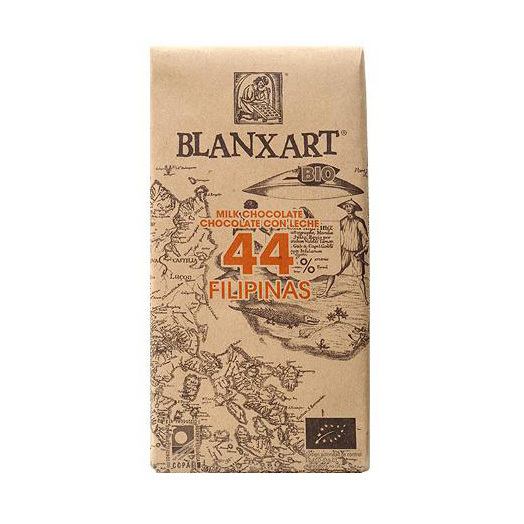 This bar is both sweet enough to satisfy the dedicated milk chocolate fan and complex enough for the most discerning dark chocolate lover. These Bali bars from Åkesson’s are the first Bali Single Origin ever made in Europe! The beans for this bar are grown in the Melaya area of western Bali, produced by the Sukrama family over 7Ha of farms. Particularly noteworthy is Åkesson’s support of Big Tree Farms in Bali in a joint commitment to preserve traditional farming by developing socially, ecologically and economically sustainable supply chains. Bertil Åkesson is one of the true heroes of the bean to bar market, pioneering the direct sale of his single estate beans to over three hundred chocolate makers all over the world. Born to a Swedish diplomat father and a French mother, Bertil grew up in Madagascar, where his family settled in the 1970s. There, his father established a number of cocoa and spice plantations which Bertil has expanded. Today bars made with his beans win prizes all over the world and this single origin milk bar made by Bertil himself is no exception. May contain traces of nuts, almonds, gluten and wheat. Far far too salty. What a shame this could be nice but they just put waaaay to make ch salt in, making it disgusting. The first bar I got of this was not too bad, the second one I bought was 10x the amount of salt, I had to throw the bar away. This is possibly the best chocolate that I have ever tasted. I was super excited about the fact that it is made with coconut blossom sugar. It's really smooth and highly addictive! It's the perfect example of how well milk chococalte goes with salt, they unite to consummate taste! 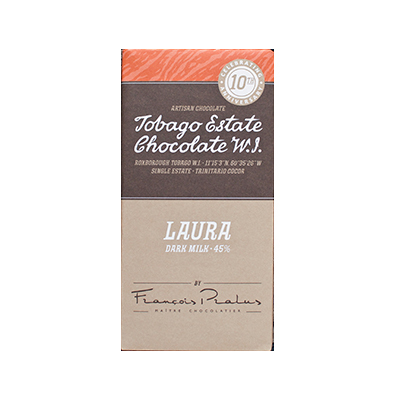 Unfortunately there seemed to be a batch gone wrong that was much too salty and to those of you who got a bar of that unfortunate batch: please to try it again, it would be a shame to miss the experience of this glorious chocolate! This is certainly a strong flavoured bar, with the rich honey sweetness and subtle tones of caramel and then salt contrasting against them. It's very smooth and milky too, however I find there is just far too much going on, I prefer simpler milk chocolates. The chocolate is smooth and creamy, and close to what I imagine a perfect milk bar would be until you get a grain of salt, which is nearly impossible not to do. The saltiness in this bar is enough to shrivel slugs. After my initial piece, I was appalled and had to wash the taste away. I somehow managed to get a piece with few granules and the salt unlined the sweetness pleasantly, but the fact I had broken off bit with that balance seemed to be sheer dumb luck. The rest of the bar was like licking an ocean rock. I completely agree with Makiko and Christopher. 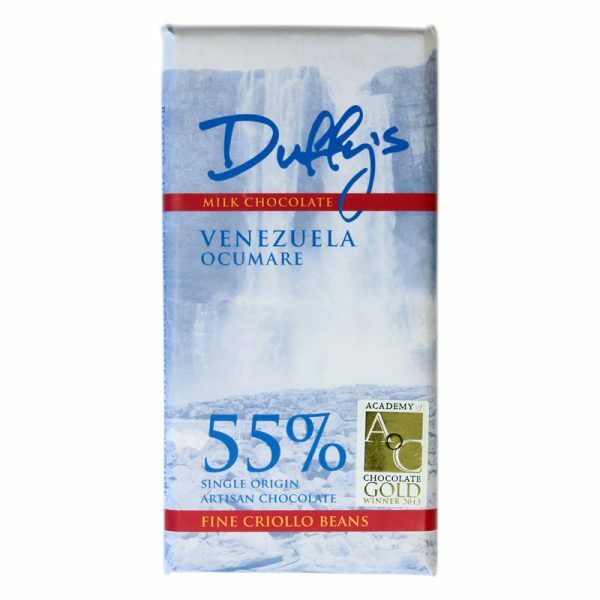 I tasted this bar blindly, having never heard of the company and thought it was one of the best chocolates I've ever tasted (and believe me I've had alot!) I was shocked by Lesley's review. I find the flavors to be very rich and subtle. It's ethereal and gorgeous. Absolutely delicious, one of the best chocolate bars I have ever tasted. Lesley J. doesn't know what she's talking about. She probably eats Dairy Milk! Horrid. Do I have to give this a star? It is so salty that it is almost unbearable. The chocolate, what there is of it, is overwhelmed by too much salt. It tastes more like an endurance test or an emetic rather than chocolate. The chocolate is sludgy. Totally disappointing and virtually inedible. Yuk, sorry. Strikingly good, the very best milk chocolate ever - the blossom sugar is sublime...!